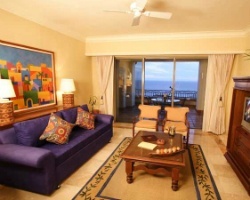 Luxurious Cabo retreat with many onsite activities and amenities! Buyer may receive a title fee credit, inquire for details! Resort is just steps away from the beach! 650 annual points! Buyer may receive a title fee credit, inquire for details! Luxurious Cabo retreat with onsite activities and amenities! 2019 use available for use! Buyer may receive title fee credit. Ownership until 2102! Private and luxurious resort overlooking the Pacific ocean! Floating week! Buyer may receive a title fee credit, inquire for details! Peaceful resort only steps from the beach and the excitement of downtown! Floating week! Buyer may receive a title fee credit, inquire for details! Luxurious tropical getaway in Mexico! Floating week on even years! Buyer may receive a title fee credit, inquire for details! Annual floating week at this lovely resort! 600 points available! RTU in perpetuity! Buyer may receive a title fee credit, inquire for details!! Luxurious and tropical getaway. Only steps from the beach! Floating week! RTU until 2116! Perfect for exchanges. Inquire today! Owner Negotiable!!! Relax in Mexico! Pick your vacation dates with 100 points every year! Inquire today for more details! Enjoy 2 floating weeks vacation every year! Price is negotiable! Buyer may receive a title fee credit, inquire for details! Relaxing resort with a private beach, golf and more! Buyer may receive a title fee credit, inquire for details! Price Negotiable! Enjoy your own private beach accommodations! 2 junior suites with floating usage(MF is for both suites)! Receive a title fee credit. Luxurious Hideaway in Cabo San Lucas! Great for Couples Getaway. 2019 Maintenance Fees Paid in Full. Motivated Seller! Floating week of your choice on even years! Price is negotiable! Buyer may receive a title fee credit, inquire for details! Enjoy stunning views from your private balcony! 100 annual points! Buyer may receive a title fee credit, inquire for details! 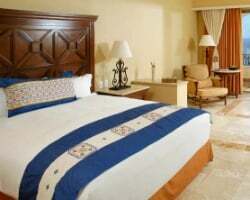 Travel to any resort in the Pueblo Bonito network! Floating week! Buyer may receive a title fee credit, inquire for details! Luxurious tropical oasis! Prime location right on the beach! Floating week of your choice! Priced to sell. Will consider a reasonable offer! Make any offers! Only steps away from the beach! Week 23! Buyer may receive a title fee credit, inquire for details! Relax on the private onsite beach! Floating week! Buyer may receive a title fee credit, inquire for details! Sale includes 600 annual points! Access to the Championship Golf Course! Buyer May Receive A Title Fee Credit, Inquire For Details!! Stunning resort with a private beach, golf and more! 300 annual points! Inquire for details!! Price reduced!!!! Highly motivated Seller!!! 300 annual points! RTU 2116! Don't miss out on a steal!!! Buyer may receive a title fee credit. 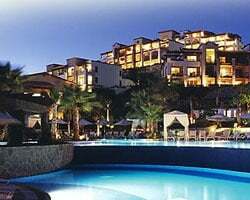 Luxurious resort located on the western tip of the Baja California peninsula! Private beach! Clear title, maintenance fees current until January 2020! Buyer may receive a title fee credit, inquire for details!